Our range of Dateless Northern Ireland number plates make for a fantastic choice for those looking for a more individual style of number plate but without the need to opt for full customisation. You don’t have to live in Northern Ireland to have a Northern Ireland number plate. 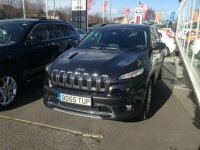 If you live in anywhere in the British Isles, these plates are legal to use as they are registered with the United Kingdom DVLA. However, outside of Northern Ireland, this style of plate is less common, and thus you’ll be able to stand out from the crowd with your choice. At Primo Registrations, we understand this popularity, which is why we have provided a range of Northern Ireland number plate options for our customers. The format of the Northern Irish plates is rather different from the standard styles on the UK mainland. 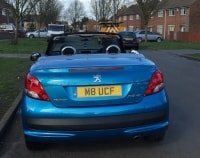 As a result, these plates offer a way to make your vehicle more distinctive, without having to opt for the expense of a fully customised plate. Northern Ireland plates tend to have two or three letters at the beginning; one of these will be an “I” or a “Z”. Following the letters, there will be between one to four numbers. For example: NAZ 123 or AIB 2. 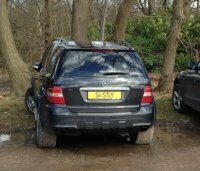 As a general rule, the shorter the plate, the more expensive it may be, but the same is true of most personalised plates. As well as this more unusual format, Northern Ireland number plates are also dateless, as they do not have any identifying patterns that show the age of the vehicle. If you want to disguise the age of your vehicle, then Northern Ireland number plates are an excellent way to achieve this. 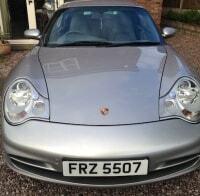 We offer a wide range of Northern Ireland number plates, which you can search now using the search bar above. We endeavour to provide Northern Ireland number plates at the best possible price, and can even offer 0% interest-free credit on purchases if required. If you’re worried about the hassle of switching your vehicle to its new Northern Ireland number plates, don’t worry. 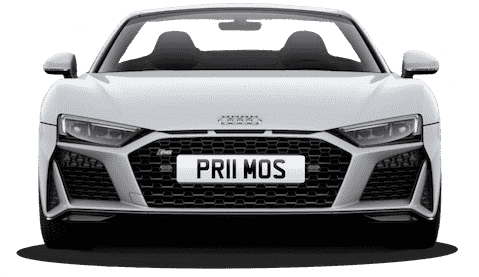 As well as providing the plate itself, Primo Registrations will also undertake the process of transferring your new plate to your vehicle, so you don’t have to worry about the time-consuming bureaucratic process. The registration and transfer process takes around 14 days, so you’ll be able to use your plates soon after purchase! You can place your order online by browsing through the options above; we accept all major cards and PayPal. If you would prefer to discuss your purchase prior to buying, we’re happy to help— just give us a call on 01252 49 1111 to discuss the matter further. Remember: at Primo Registrations, we offer a price guarantee. That means any plate you buy from us will be sold at the cheapest price online, so you can be 100% certain you’re getting the best available deal for your chosen plate.